LA HARPE, Ill. — A school district in Illinois has reportedly advised one of the nation’s most conspicuous Church-State separation groups that it has disallowed a local Christian from distributing Bibles on a street near an elementary school and told the man that the police will be called should he come on campus. The Wisconsin-based Freedom From Religion Foundation (FFRF) sent a letter earlier this year to the La Harpe Community School District to complain that elementary school principal Lila McKeown includes references to Christianity and/or Scripture in flyers that are distributed at staff meetings. It also claimed that McKeown permitted an individual to offer Bibles to students. 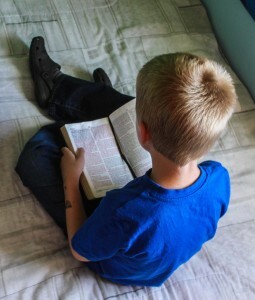 It also asked that the district halt the Bible distribution as allowing the handout would “entangle” the school with religion and “alienate” those who do not identify as Christian. An attorney for the La Harpe Community School District soon responded to the atheist activist organization, advising that McKeown would discontinue quoting from Scripture in any form of school communication. However, it also noted that she knew nothing about the individual who reportedly distributed Bibles near the school. “This individual was clearly informed that North D Street is a part of the school district campus and cannot be used for Bible distribution activities,” the response read, advising that a “cease and desist” letter was sent to the person. Moreover, the man who distributed Bibles was told that should he come on campus, the police will be called.